The French steamship Lotus was involved in a collision in 1926 with the Boz-Kourt, a Turkish steamer, in a region just north of Mitylene, Greece. The Turkish vessel was extensively damaged in the crash and eight Turkish sailors were killed. The case led to a criminal trial heard in the Court of International Justice, a judicial branch of the League of Nations before there was a United Nations. The issue before the court was Turkey’s jurisdiction to try the French officer on watch at the time of the collision. Because the accident happened on the high sea, in international waters, France claimed that only the flag state had exclusive jurisdiction over the case. The court rejected this position, however, saying that there was no rule to that effect in international law. In the end the principle was overruled by the High Seas Convention of 1958 that ruled that the French were correct. Only the flag state or the state of which the alleged offender was a citizen had jurisdiction over the people accused of a crime on the high seas. 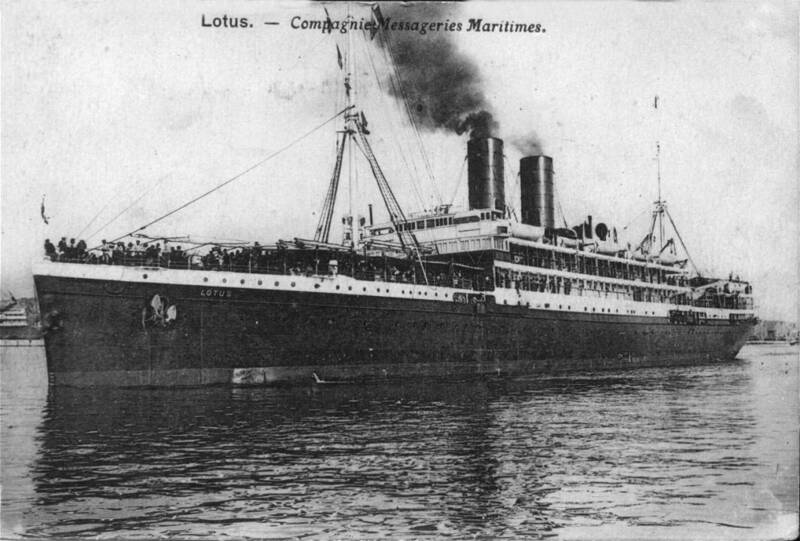 Launched in 1898, the Lotus was a passenger liner used for an orient service from Europe. The vessel made regular voyages between Marseille, France, and Saigon, Vietnam and Yokohama, Japan. It boasted first class accommodations for 185, second class cabins for 86, and room for 77 in steerage. The facilities were increased when the ship was refitted in 1912. The Lotus joined the war effort as a troop transport in 1916. After the war it was refitted and was described by court documents as a French mail steamer, which suggests a change in roles. At the time of the collision, just before midnight on August 2, 1926, the Lotus was headed for Constantinople, the old name for Istanbul, when it struck the Turkish collier Boz-Kourt amidships, sending the collier to the bottom. Eight sailors died, apparently going down with the ship. Court records said the Boz-Kourt was sliced in two. The Lotus stood by at the accident scene for hours, taking on eight other sailors who survived the crash, then continued on to Constantinople where it arrived the following day. First Mate M. Demons, who was the officer on watch at the time of the crash was arrested and charged with negligence. The Lotus saw eight more years of service after the crash. It was scrapped in Italy in 1932.